My first impression of Evergreen Candleworks’ website was that of a clean, natural environment. Dressed in green and white tones, the site radiates a feeling of calmness and serenity. I’ve seen environmentally green products and companies before, but Evergreen Candleworks takes that objective to a whole new level of dedication. 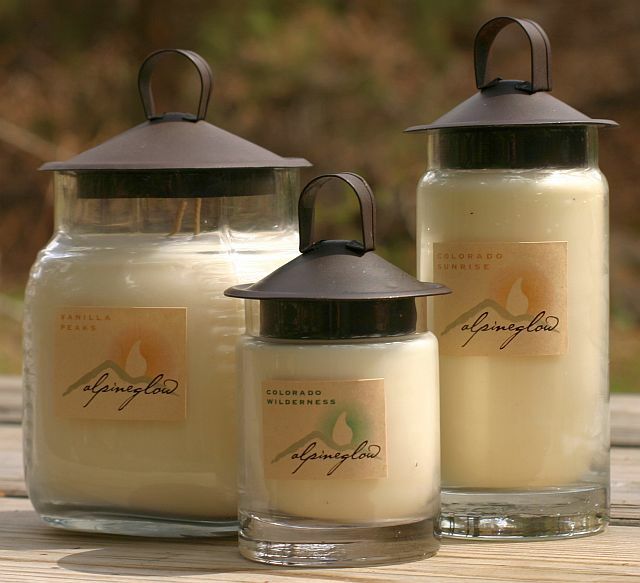 They have found ways to “green” up every aspect of their candle business. Whether it’s something as simple as recycling and reusing whenever possible to the more hard-core practice of using 100% wind power from bird friendly wind turbines, Evergreen Candleworks has turned the notion of living green into an everyday reality. Their lanterns and jars are meant to be reused, either repurposed in the home or even refilled with Evergreen Candleworks own Soy Refill Flakes and the 100% cotton candle wicks are led free. The star of their show, however, it their biodegradable, renewable wax – soy wax. 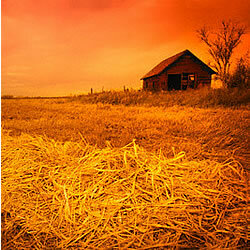 Their website shows that they use organically, U.S. grown soybean wax that is free of pesticides and herbicides. There are no colorants used in the candles either. Basically, Candleworks is striving to produce a healthy, environmentally friendly candle by greening up the process as much as the product. Everything I’ve read about Evergreen Candleworks methods and standards are positive. Who wouldn’t want a natural, Earth friendly, healthy product? I know people have different preferences in wax types and sources. I’ll let that debate continue without me. What I’m looking for are great smelling and clean burning scented candles. That’s my main focus here. So, let’s get to it. What do my candles look like? The Alpine Glow square jar style looks like an elegant glass bowl. The larger 24 oz bowl size is triple wicked, but for this review I tried the double wicked 10 oz bowl. The containers are quite beautiful and Evergreen Candleworks encourages their customers to reuse the jars. All three container candles were natural white soy wax with no colorant added. Each had a simple Alpineglow logo sticker featuring the scent name on one side of the jar. 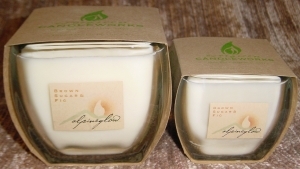 How did my candles From Evergreen Candleworks smell? I tried this scent in the smaller 6 ounce sized jar. Although Ceylon Harvest is essentially a cinnamon scent, this blend was silky smooth. It wasn’t the least bit bitter or sharp. It had a slight foody edge to it, but didn’t smell like a pastry…simply a deep, seductively spicy mix of mostly Ceylon cinnamon with a dollop of pumpkin puree’. I burned this candle in my powder room where it did a super job of scenting the space. I thoroughly enjoyed this scent. The candle burned with no soot and lasted a long time. With each relight, I got a full, clear melt pool that left the edges clean. I chose Colorado Sunrise, not for its name, but for its scent description. 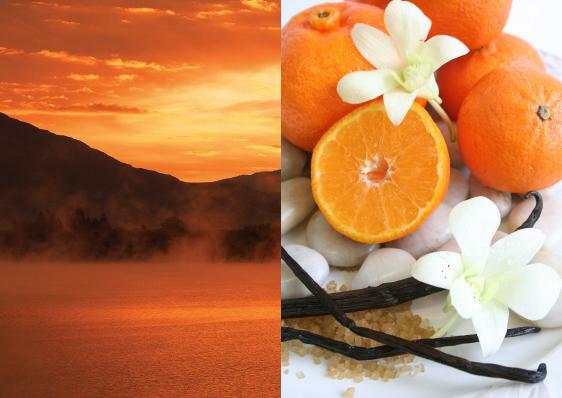 How unusual to combine fresh oranges and orange blossoms with a spicy blend of cinnamon, nutmeg and ginger. Picturing a sweet juice smell, I wasn’t sure whether or not I would like these elements together but I had to find out…I had to smell it with my own nose. With Colorado Sunrise, I smelled the background first. I caught a whiff of nutmeg, ginger, and hints of smoky cinnamon right away. Then, as the candle burned, I dug deeper and smelled orange peel. The scent wasn’t sweet like an orange juice at all but much more like a spicy orange pomander. Colorado Sunrise was a beautiful scent… one I would definitely like to enjoy again. The scent notes were distinct and not muddled. I tried this scent in a medium 10 oz Lantern jar. Although this lantern was taller than the 6 oz sized lantern, the width was the same 2.5”, so I had a very similar experience with scent throw from both lantern sizes. Obviously, the larger 10 oz jar burned longer. I was happy to have the two different sized lanterns because they look stylish side by side. For me, this was the strongest of the three jars. That’s no surprise since I tried Brown Sugar and Fig in a larger, wider double wicked bowl container. With this scent, I smelled a whole lot of amber. That’s a good thing as I happen to like amber in a fragrance. Like the other fragrances I tried, this one was not a foody scent. It smelled lush and expensive. I smelled the fig, but very little of the brown sugar or coconut. This scent could fit into any room setting. It worked well all throughout my home. It had an elegant look and smell, with the amber tipping it slightly into the realm of a perfume fragrance. All of my candles from Evergreen Candleworks burned exceptionally well. The candles kept a strong flame, creating a full, even melt pool from edge to edge. I had no soot anywhere while burning these candles. The fragrances were noticeably clear and complex with not a trace of any chemical additive. The candles were all long burning, even with a good sized flame. Fragrance throw can be a tricky thing to judge. With these candles, I found the throw to be closely dependent on the jar width. For a bigger punch of scent, I would choose the wider mouth bowl jars. For a more intimate scent in a smaller space, stick with the elegant lantern style cylinders. Evergreen Candleworks doesn’t just talk the talk when it comes to a healthier product and environment, they walk the walk. Their hard work is evident in these extraordinarily clean burning candles. I would recommend these beauties to anyone, not just the environmentally conscious, but to anyone who appreciates a great burning candle with exceptional scent quality. The scents are unique and smell very high-end. The candles burned without the slightest incident and with very little maintenance. These candles were pure enjoyment. Though they are priced a bit higher than some others, a beautifully burning well fragranced candle is worth the extra green, so to speak.